Glad® Garbage Bags are high quality bags that offer reliable and superior performance. Glad® Garbage Bags have tight seams which helps to ensure no messy leakage of contents and no costly clean ups. 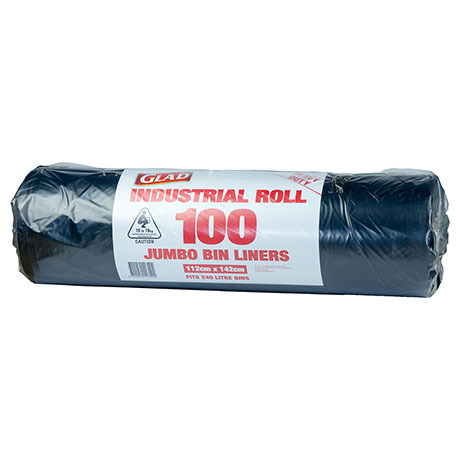 This industrial sized roll gives you 100 bags that are easy to store.